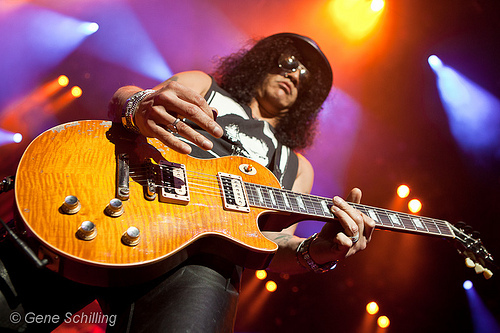 Slash performs at Caesars Windsor on Sept. 9, 2010. Photo by Gene Schilling. Opening for Billy Idol, Slash performed at Caesars Windsor this past Friday. With a set list that included the whole spectrum of old and new (Guns ‘n’ Roses, Velvet Revolver and Slash’s new solo album), the crowd was fully energized throughout. For more of Gene’s photos, click here.